considered topics, both in Romania and surrounding countries. In the framework of the symposium were published 65 papers in the field of agribusiness, rural development, natural resource economics. 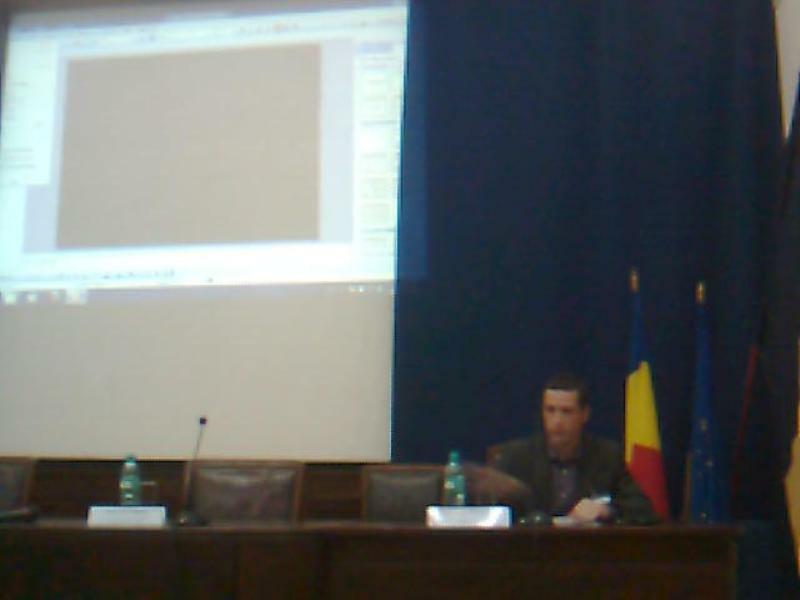 The symposium was attended by authors from Romania, Moldova, Spain, Hungary, Italy and Serbia.The symposium was opened PhD Adrian Turek Rahoveanu, director of Research Institute for Agricultural Economy and Rural Development, then a speech PhD Victor Moroz, director of the Institute for the Economy, Finance and Statistics, in Chisinau, Moldova, and remarks by PhD Gheorghe Sin and Ioan Nicolae Alecu in front of the Academy of Agricultural and Forestry Sciences "Gheorghe Ionescu-Şişeşti" from Romania. On behalf of PhD. 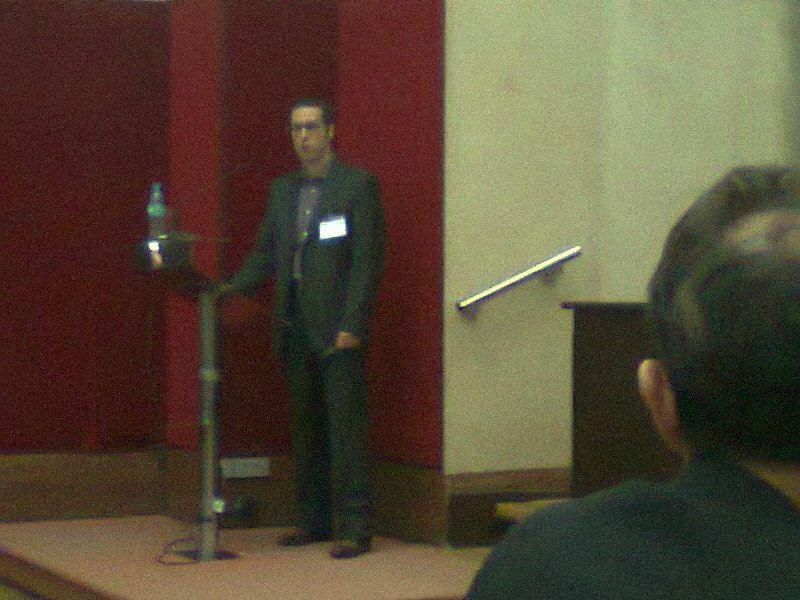 Drago Cvijanović, director of Institute of Agricultural Economisc, addressed the participants Mr. Marko Jeločnik. After the introductory part, the authors present their work with a constructive discussion. In front of the Institute of Agricultural Economics, International Scientific Symposium attended by Mr Marko Jeločnik, Mr Velibor Potrebić, BSc. Svetlana Roljević and B.Sc. Marijana Jovanović. Institute of Agricultural Economics - Belgrade and Balkan Scientific Association of Agricultural Economists was co-organizers on the International scientific conference "Capitalism in Transition". Otherwise, a conference was organized by Higher Education Institution for Applied Studies for Entreprenurialship in cooperation with Ministry of Labour and Social Affairs and Student Conference of Serbian Academy of Applied Studies. 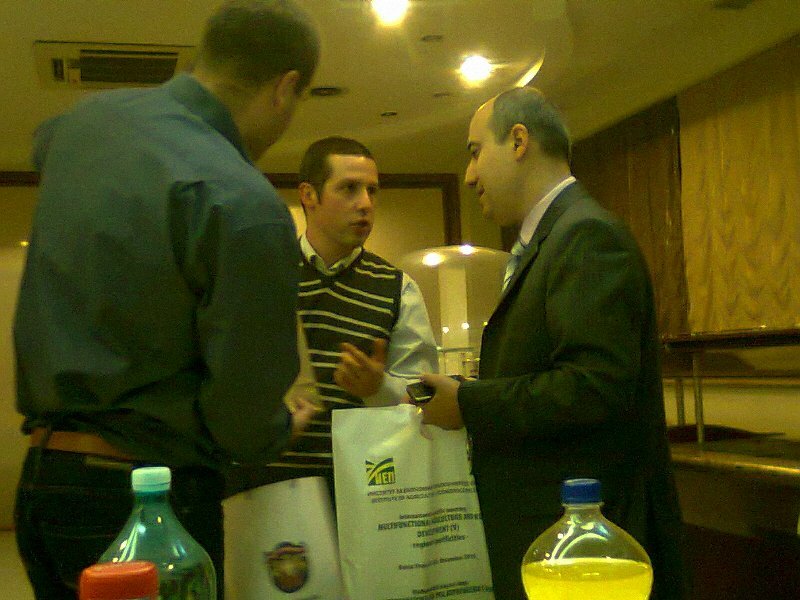 The conference was held 15.06.2012. in Hotel "Kristal" in Belgrade. Conference participants included researchers, professors, students, professionals from different fields of social sciences, public office holders, NGO representatives, independent experts, union officials and representatives of all other areas of public life. 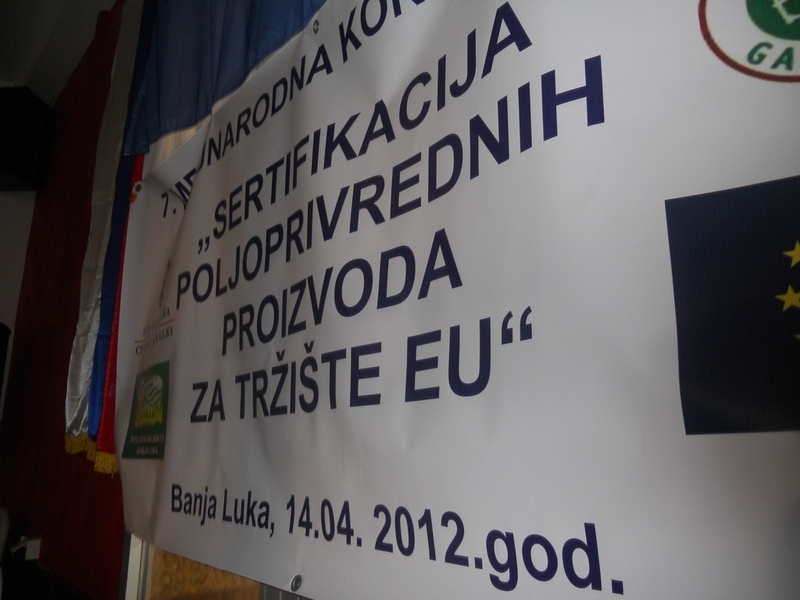 On April 14th 2012 was holding the 7th International Conference, in Banja Luka, organized by the city of Banja Luka, Business Incubator Banja Luka and NGO Krajina, entitled „CERTIFICATION OF AGRICULTURAL PRODUCTS FOR THE EU MARKET”. 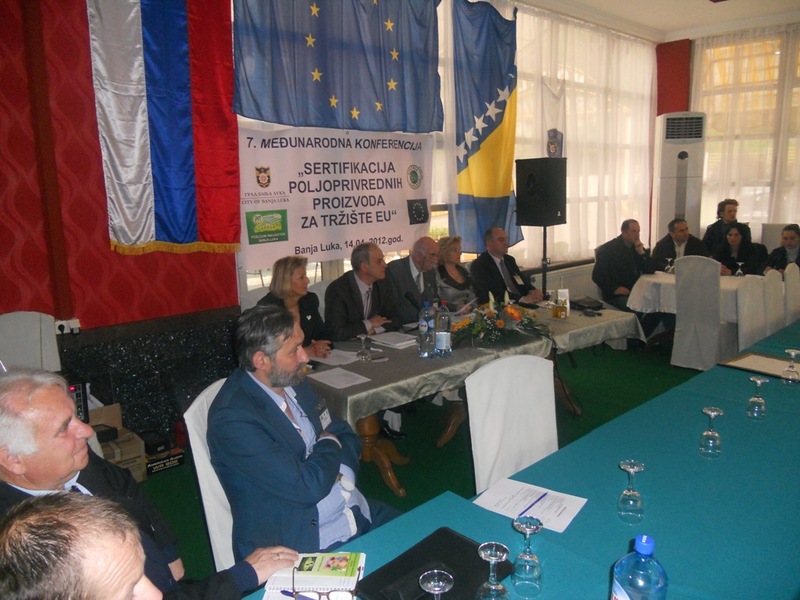 Besides the hosts, many experts from Austria, Slovenia, Croatia and Serbia, as well as numerous organic products' producers from the Republic of Srpska, were participating at the conference. 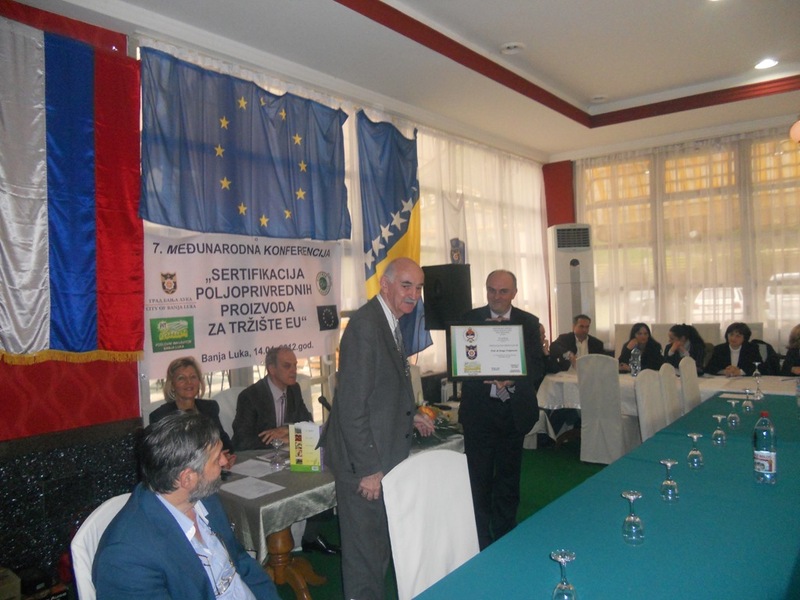 The conference was prepared on the occasion of the fifteenth anniversary of NGO Krajina, which has implemented numerous projects in Bosnia and Herzegovina and the Republic of Srpska. In regard to this were awarded the recognitions and letters of thanks. 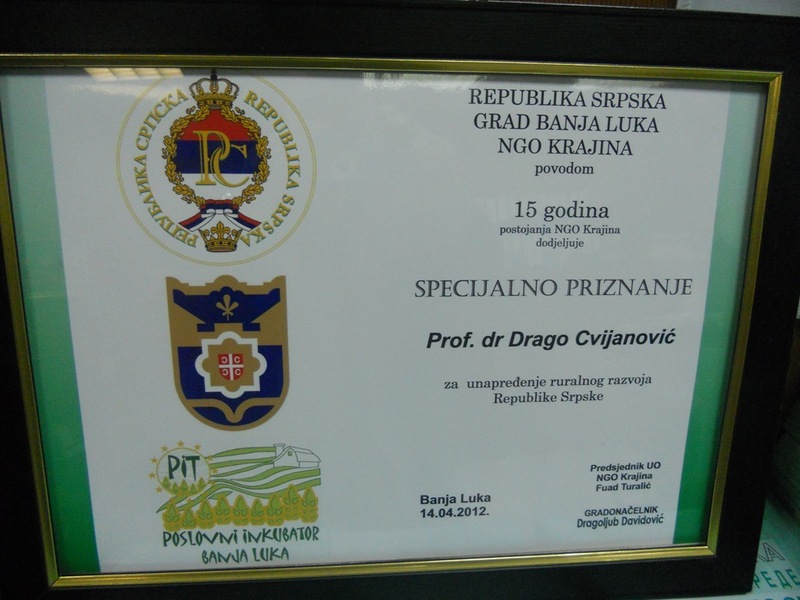 On this occasion, the Republic of Srpska, the city of Banja Luka and NGO Krajina have awarded Professor Drago Cvijanovic, PhD, director of the Institute of Agricultural Economics – Belgrade, with a Special Acknowledgement for improvement of rural development of the Republic of Srpska. 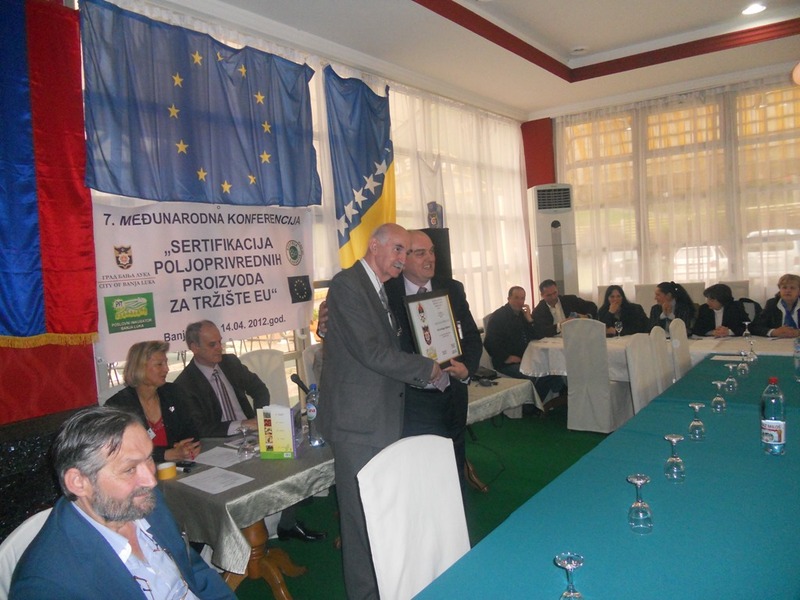 This special acknowledgement was handed to Professor Drago Cvijanovic, PhD, by Fuad Turalic, PhD, the president of the NGO Krajina Banja Luka Administrative Board. 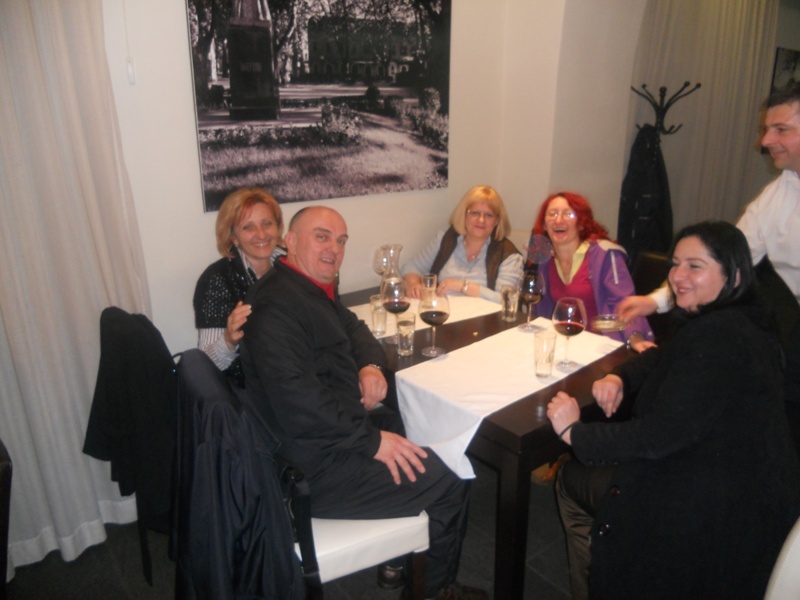 REPUBLIC OF SRPSKA“, which was held in Trebinje, from 19-22nd March 2012. 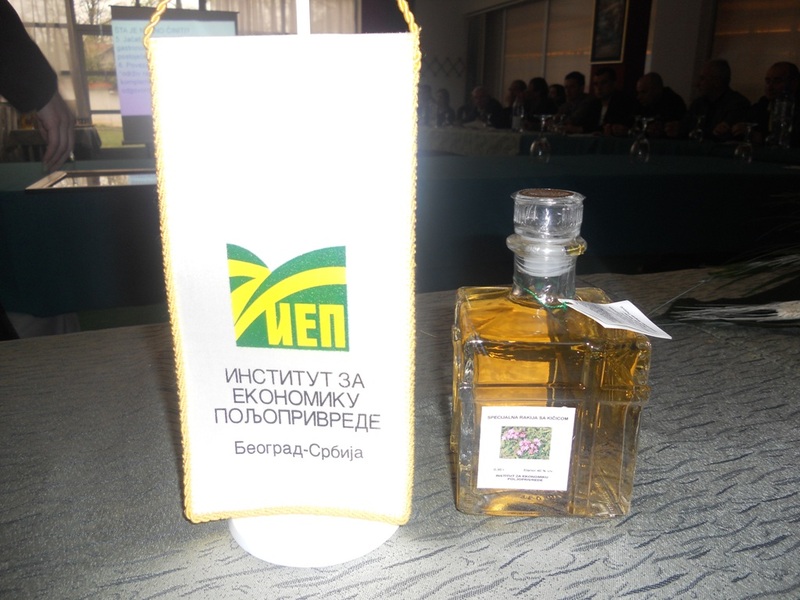 The sponsors of the symposium were the Ministry of Agriculture, Forestry and Water Management of the Republic of Srpska and the Ministry of Science and Technology of the Republic of Srpska. 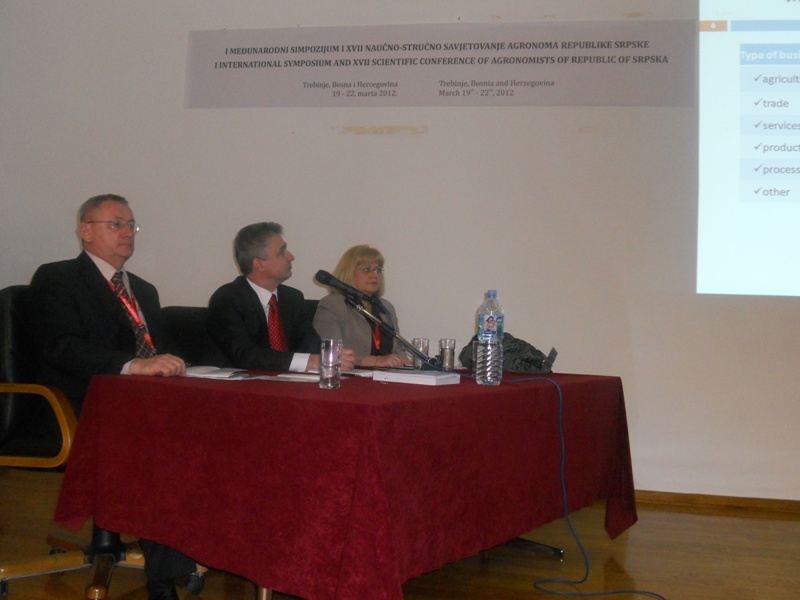 The Institute of Agricultural Economics Belgrade, together with 35 domestic and foreign institutions was organized the international scientific meeting, which represented the results of the research on the project III – 46006 “Sustainable agriculture and rural development in terms of the Republic of Serbia strategic goals' implementation within the Danube region”, funded by the Ministry of Education and Science of the Republic of Serbia.